TAHOE® is excited to welcome you and your family to the 2018 700. 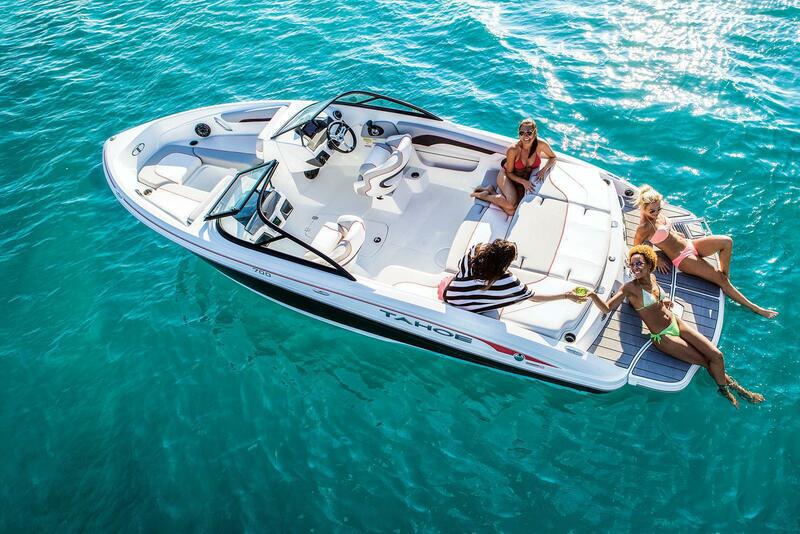 As our new runabout flagship, she's a boat that's always ready to show your crew a good time. And she does so by perfectly wedding style, comfort and convenience together in perfect harmony. So, grab your anchor from the bow compartment, and tie up in your favorite secluded cove. Drop the changing curtain from the optional Bimini top and change into your swimsuit. Adjust the sunpad backrest to your favorite position, and lay back in comfort. 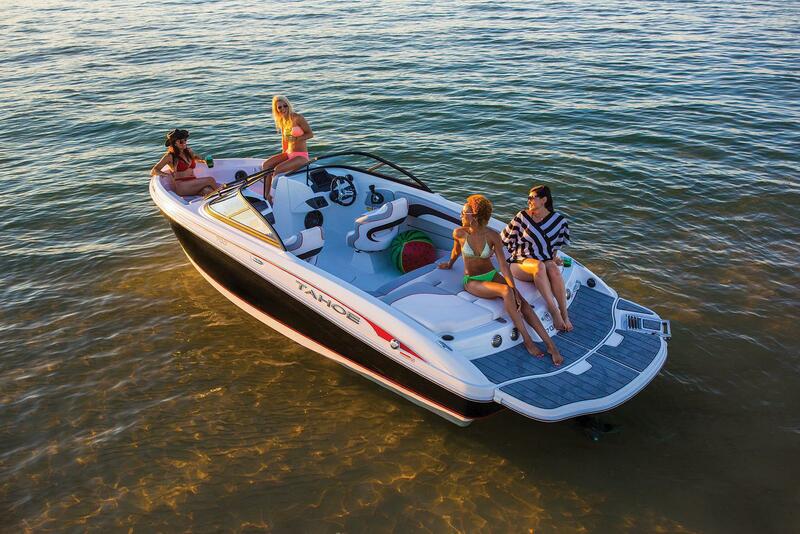 Or, if that's too slow for you, grab a wakeboard from the in-floor storage and have some fun. 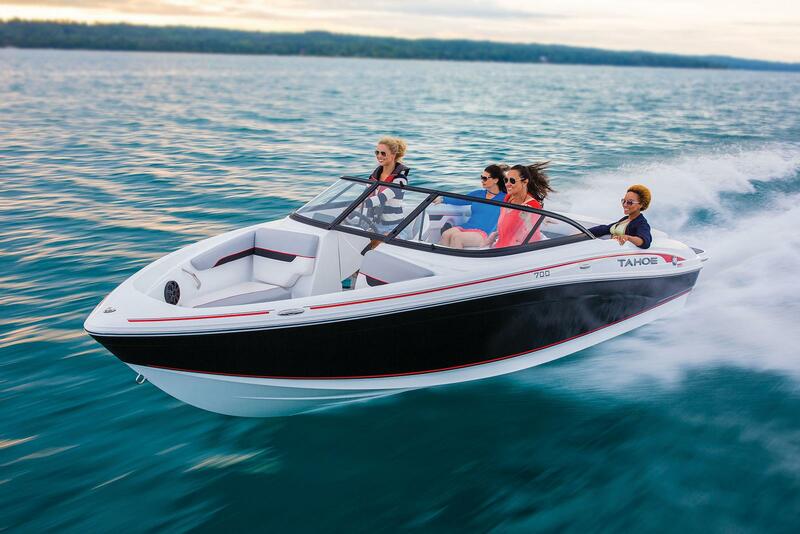 The TAHOE 700 runabout presents upscale fun, comfort and convenience features in a spacious package that's powered by a smooth-driving MerCruiser® sterndrive motor. For relaxing, there's the adjustable padded sundeck aft and plenty of seating throughout the cockpit. 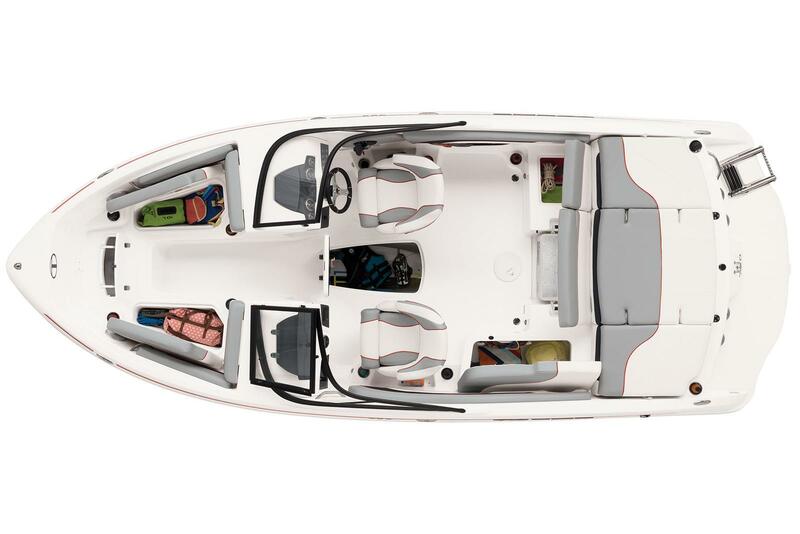 For watersports, you'll find an in-floor storage compartment and ski tow ring standard. And for any activity, the Kicker stereo provides the perfect soundtrack. Bottom width: 7 ft. 3 in. Max. weight capacity: 1750 lb. Max. person & gear weight: 1750 lb. Draft (trimmed up): 28 in. Draft (trimmed down): 38 in. 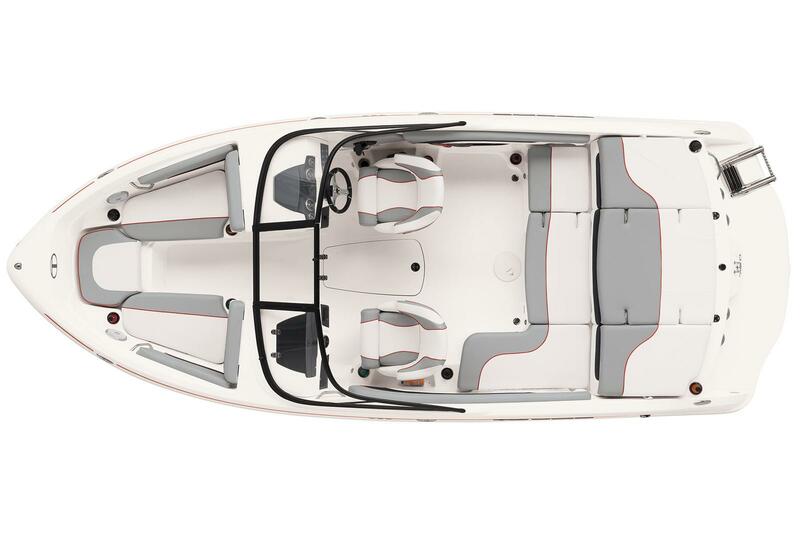 Average hull w/motor weight: 3488 lb. Average package weight: 4850 lb. Bridge clearance w/wakeboard tower: 7 ft. 8 in. 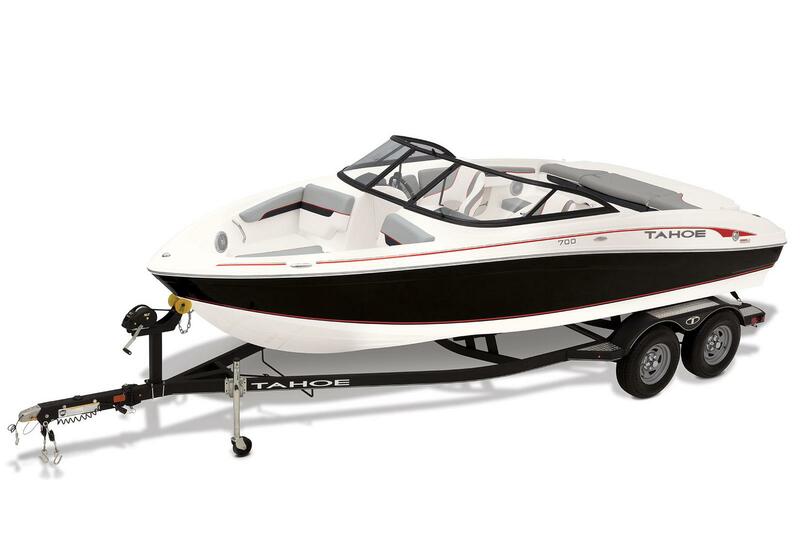 Package height w/wakeboard tower: 10 ft. 2 in. Towing length: 25 ft. 4 in. Storage length: 22 ft. 8 in.